TEHRAN, Iran — The former head of the United Nations urged Iran Monday to build on a historic deal reached with world powers in November and work toward a final settlement over its contested nuclear program. Kofi Annan, who is heading a group of ex-world leaders known as “The Elders,” made the comments after a meeting with Iran’s Foreign Minister Mohammad Javad Zarif Monday. “We believe that there have been a number of recent positive developments, most important the interim nuclear agreement signed in Geneva last November. These efforts now need to be sustained to achieve final agreement,” he told a press conference in Tehran. Iran halted 20 percent enrichment and started neutralizing its stockpile of 20 percent enriched uranium on January 20 to fulfil its commitments under the accord. The U.S. and the European Union also lifted some sanctions in response to the Iranian moves. 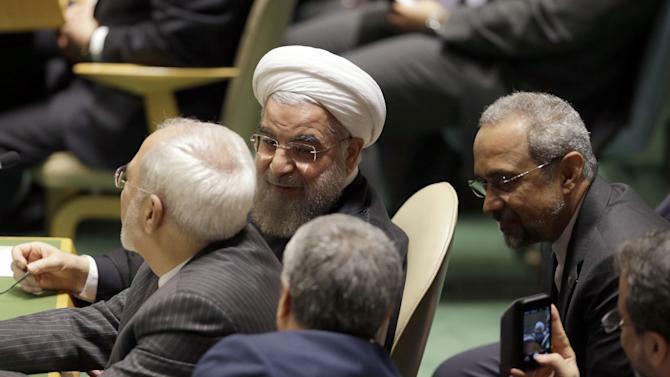 Under the six-month deal, Iran has agreed to halt its 20 percent enrichment program, which produces uranium just steps away from military grade, but will continue enrichment up to 5 percent. It also will convert half of its stockpile of 20 percent enriched uranium to oxide, and dilute the remaining half to 5 percent. In return, the U.S. and the EU simultaneously announced the lifting of sanctions on petrochemical products, insurance, gold and other precious metals, passenger plane parts and services. They also plan to release $4.2 billion Iranian assets of oil revenues blocked overseas, in 8 installments over a period of six months. The first installment of $550 will be provided to Iran on February 1st, according to U.S. administration officials. Iran and the six-nation group — the five permanent members of the U.N. Security Council plus Germany — are expected to start talks for a comprehensive, permanent deal next month in New York, Iran’s state TV reported Monday. Annan is accompanied by former Finnish President Martti Ahtisaari, South Africa’s Nobel Peace Laureate Desmond Tutu and Mexican ex-president Ernesto Zedillo. The group, formed in 2007 by the late South African leader Nelson Mandela, is made up of 12 former global leaders who according to their website try “to promote peace, justice and human rights.” It is The Elders’ first visit to Iran as a group. Encouraged by the interim accord, the Elders headed to Iran to help boost dialogue between Iran and the West. “The purpose of the three-day visit is to encourage and advance the new spirit of openness and dialogue between Iran and the international community, and to explore what could be done to enhance cooperation on regional issues,” said a statement posted on the group’s website. During the Monday press conference in Tehran, Annan also praised Iranian President Hassan Rouhani’s proposal of a “World Against Violence and Extremism,” endorsed by the U.N. last year. Annan said his group is concerned about the plight of Syrians. “All of us, including our Iranian hosts, are deeply concerned about the tragic situation in Syria today. We must all do our best to help reduce sufferings,” he said. Annan and his team told Iran’s former president, Akbar Hashemi Rafsanjani, that the U.N. has failed to end bloodshed in Syria. “The fact is that the U.N. failed. Many countries gave commitments on paper but ignored them in practice,” the official IRNA news agency quoted Annan as saying. Annan suggested that the Syrian problem can’t be resolved without Iran’s active role. 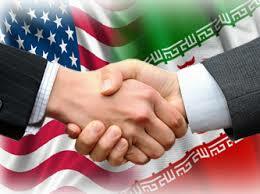 “Iran is a valuable asset for stabilizing peace in the region. Whoever ignores this won’t achieve goals,” he was quoted by IRNA as saying.